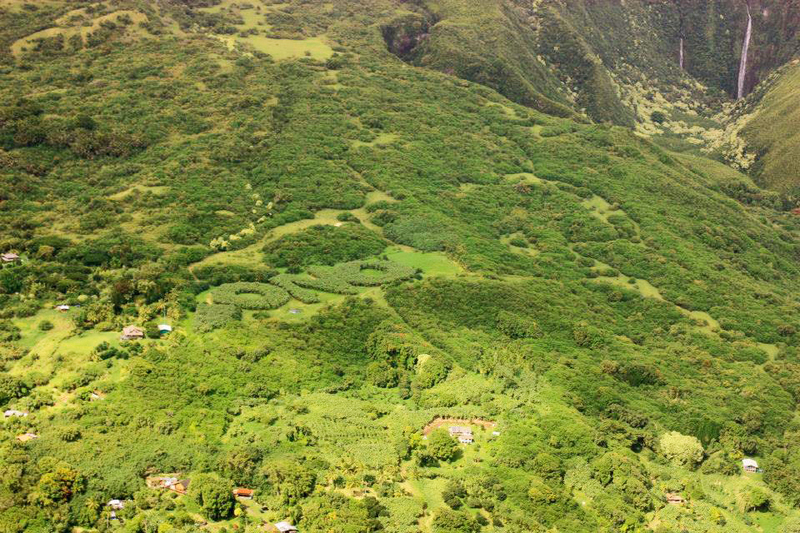 A tour of ONO Organic Farms is a wonderful and unforgettable experience for people of all ages! 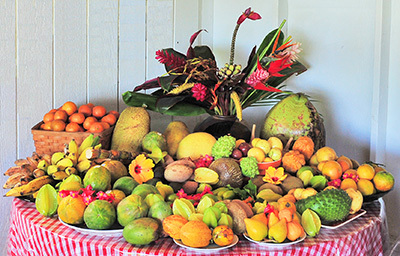 Our Exotic Tropical Fruit Tasting Adventure includes samples of ten to twelve in-season fruits, our "ONO-licious" home grown coffee, and home grown and roasted chocolate beans. 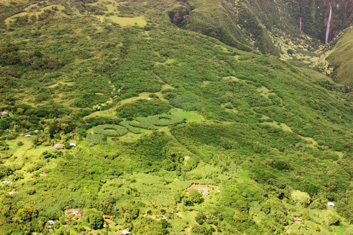 Aerial view of our farm in the Kipahulu district of East Maui, and the famous "ONO" banana grove. 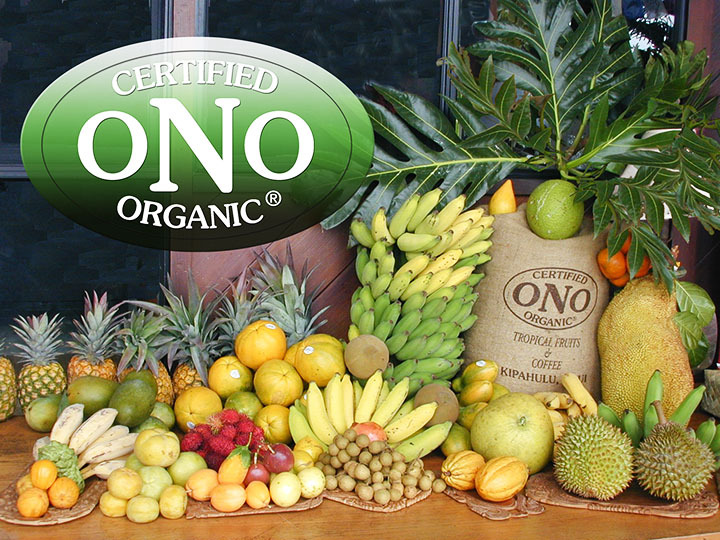 ONO Organic Farms of Maui, Hawaii is a family-owned and operated, certified organic, hand-picked, tropical fruit, coffee and cacao farm located along the world-famous "Road to Hana", on the southeastern slopes of Haleakala volcano, on the Hawaiian island of Maui. 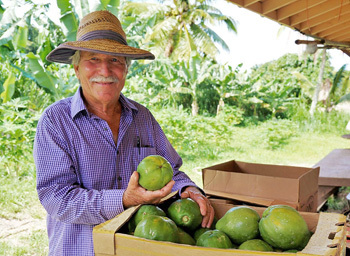 We invite you to enjoy an exotic tropical fruit, chocolate and coffee tasting adventure that includes at least 12 varieties of tropical fruits, our delicious home-grown coffee and chocolate, plus a guided tour of our pure organic paradise. 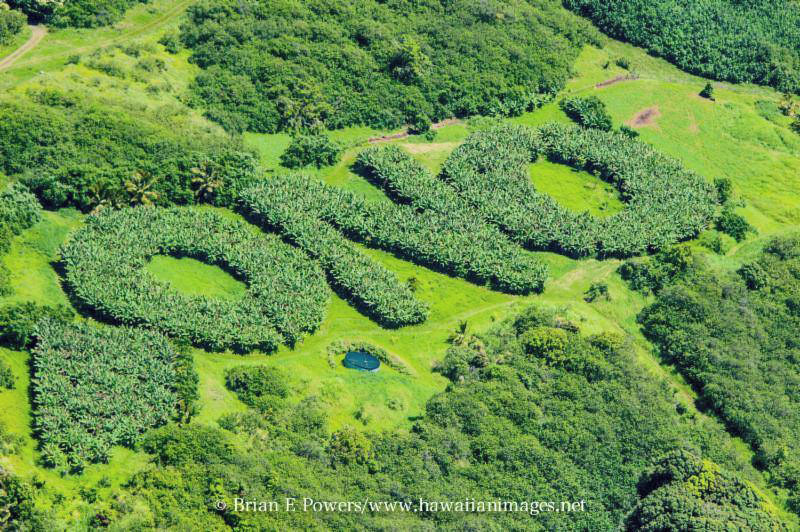 Buy direct from ONO Organic Farms seven days a week from 10 a.m. to 6 p.m. at our roadside market in Hana Town (next to the gas station). 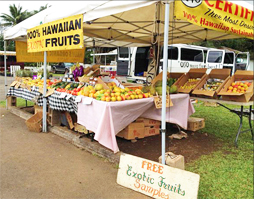 Taste our seasonal, fresh organic produce before you buy, and check out our selection of packaged products, jams, jellies, coffee and chocolate beans available for purchase.